Citigroup Settlement Offers Former Homeowners 'Cold Comfort' The Justice Department's settlement with Citigroup offers $2.5 billion for "consumer relief." Critics say it will do nothing for those hurt most by the foreclosure crisis: people who lost their homes. The Citigroup Center is viewed in midtown Manhattan. Critics say the U.S. settlement with the banking giant will do nothing for those hurt most by the foreclosure crisis: people who lost their homes. Should you be watching your mailbox for a check from Citigroup? The banking giant says it will pay out $2.5 billion to provide "consumer relief" to help settle charges brought against it by the U.S. Justice Department. The government said Monday that "defects" in Citi's mortgage securities had fueled the financial crisis that triggered the Great Recession. And we all suffered from that catastrophe. Between 2007 and 2009, U.S. households lost more than $19 trillion in wealth. Given that staggering sum, a $2.5 billion payout to consumers may seem small. But surely the people who lost homes purchased with Citi mortgages will get some cash back, won't they? No. For people who ended up in foreclosure, the settlement will not bring back the old house keys. "There's nothing Citi will do to help those people," said Lisa Gilbert, a settlement critic with Public Citizen, a nonprofit group. To understand why homeowners — who lost the most — are getting the least, we need to take this story in order. From 2003 to 2007, housing prices were shooting up. In that go-go environment, banks made lots of loans and bundled them into "mortgage-backed securities," which could be sold to investors seeking interest income. Many lenders began marketing mortgages to borrowers with poor credit records or insufficient incomes. And in many cases, loans were designed to lure buyers with affordable "teaser" interest rates, which later would ratchet up to higher rates. The DOJ says Citi misled investors about the risks inherent in these mortgages. And Cornell law professor Robert Hockett said borrowers too were being misled about how their mortgages would get more and more expensive over time. "They weren't being told about the fine print," he said. So by 2007, many homeowners were starting to default, dumping vacant houses on the market. That drove down real estate prices and kicked off the housing market meltdown. Are Settlement With Banks Helping Homeowners? Citigroup says it was a small player in a big mess. But DOJ says the bank's actions were so "egregious" that it deserves penalties. Citigroup will pay $4 billion in a civil penalty to DOJ, as well as $500 million to the Federal Deposit Insurance Corp. and several states. In addition, Citigroup will provide $2.5 billion for "consumer relief." Part of that will go to financing construction of low-income multifamily rental housing, and the rest will help pay for modifying existing loans to lower the interest rate or cut the principal. A Citi spokesman would not comment beyond saying the company will "identify and contact eligible borrowers." But if you lost your home in a foreclosure, then the only relief you might get is a chance to rent one of those low-income apartments that Citi will finance. That's if the building happens to be where you want to live. It's a big country; good luck. This settlement will not get Citigroup employees off the hook for possible criminal charges, Attorney General Eric Holder said in announcing the deal Monday. But he did not say whether he plans to file any such charges. 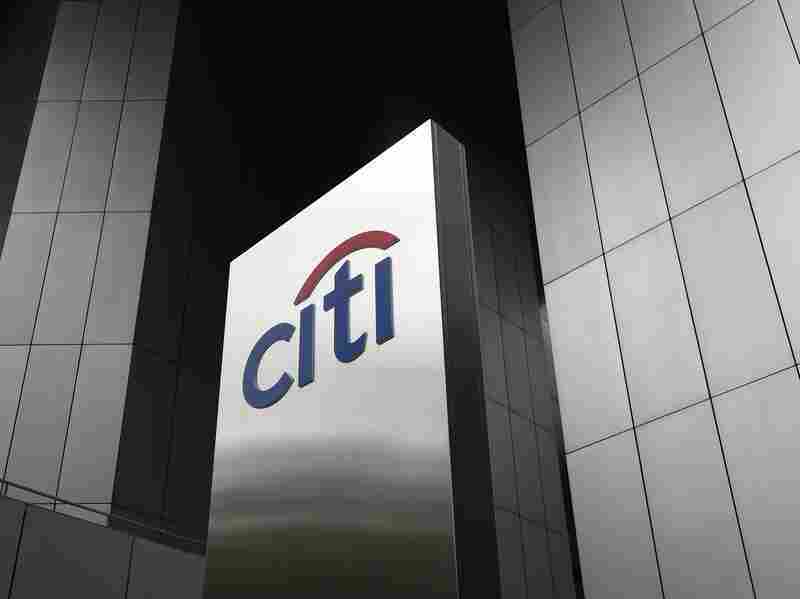 So far, only Citi shareholders — not the executives themselves — are paying the financial penalties. Holder himself notes that "the bank's activities contributed mightily to the financial crisis that devastated our economy in 2008," but the case he brought isn't about the borrowers or workers who lost jobs in the recession. This case is only about the investors who bought mortgage-backed securities. So was the punishment big enough? Citigroup shareholders might say yes. On Monday, the bank said its second-quarter earnings plunged 96 percent — thanks in part to a pretax charge of about $3.8 billion related to the settlement. But consumer advocates say no. "Citi helped fuel the housing bubble that ultimately crashed the American economy, displacing millions of Americans from their homes and jobs. This settlement does little to repair that damage," said Bartlett Naylor, a financial policy advocate for Public Citizen. And Hockett questions the penalty of having Citi finance rental housing. Cheap apartments would provide Citi with a new revenue stream — from the very people who have lost homes in the foreclosure crisis that Citi helped trigger, he argues. "That's very troubling," Hockett said. "Citi will end up bringing in rents from people who used to own homes. That's cold comfort." DOJ already has reached a settlement with JPMorgan Chase and is widely expected to impose penalties on Bank of America, Goldman Sachs and Wells Fargo. "We know these measures won't cure every ill or solve every problem created by the financial crisis; but they are significant steps toward rectifying the harm caused by what the president called 'an era of recklessness' in our financial markets," associate Attorney General Tony West said.